Otley’s longest established firm of surveyors has a new office principal, following the appointment of experienced estate agent Tim Usherwood, as director. Tim, who has been with Dacres for 26 years and has considerable knowledge of Wharfedale from his time in Wetherby Ilkley and Skipton, will now manage the Otley branch, which has an enthusiastic team of four and is central to the twenty office branch network. His promotion follows the retirement of David Phillip, who has worked for Dacres for almost 40 years. Tim, who lives in Ben Rhydding, said: “Our Otley branch moved to its current location on Bondgate just over three years ago, and the bright, pedestrian-friendly office means we have a great physical presence in the vibrant market town. Dacre, Son and Hartley’s Otley office specialises in all aspects of residential property, including sales, lettings and surveys. Tim added: “Our dedicated team of property professionals in Otley includes senior sales negotiator Jane Milner, who lives in the town and has worked in the office for almost 13 years, sales negotiator Ana Colburn who joined us in 2016, James Gifford who has recently joined the team from our North Leeds office and area lettings manager Leah Nanji who joined from a rival firm. 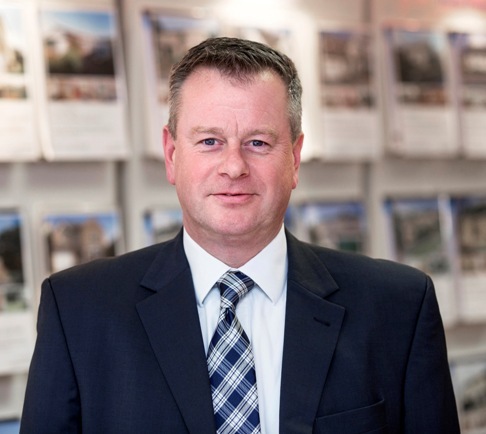 Patrick McCutcheon, head of residential at Dacre, Son & Hartley, said: “Tim’s property career is extremely diverse and he is the ideal team member to lead the Otley office.